Vests are the perfect layering accessory that can be worn year round. Over a t shirt or over a long sleeved button down, they can make a dull wardrobe pop. Check out these 4 fabulous patterns, direct from our independent designers! Designed to be a multi-purpose, drapey garment, this vest can also be worn as a scarf, poncho, or upside down for the fashionably adventurous! This pattern is accessible for most knitters, using a square knit in the round with garter stitch ridges, and a stockinette stitch rectangle that makes up the sides and collar of the vest. For this pattern, I love Malabrigo Arroyo, a DK weight 100% merino wool yarn. You would need 3 – 4 hanks of the main shade, Sand Bank (131), 1 – 2 hanks of Archangel (850), 1 hank of Glitter (048), and 1 hank of Azules (856) to complete the pattern as shown. Click on the image below to view all available shades! How perfect is this all seasons vest? I love the lace panels, they add a subtle level of detail that works well with a solid shade yarn. This pattern is worked seamlessly in the round from the bottom up and divided into front and back sections at the arm holes. This pattern is available in sizes to fit 31 – 57 inch chest measurements. If you want to read more about how Katya Frankel designs her patterns, click here to read our interview with her. This pattern can be worked in a number of yarns, but the designer herself recommends Rowan Pure Linen, a stunning 100% linen yarn with a touch of shine. I love Arabian (394) and Colorado (393), as seen here. You will need between 3 and 6 hanks of this yarn, depending on the size you need. This contemporary take on a traditional style is knit from the top down, beginning with a provisional cast on. It is knit flat in pieces (back, left front, right front, and collar) and then seamed for a superior fit. The delicate lace borders that surround the traditional cable panels are absolutely divine, and will look at home in any wardrobe. I love MillaMia Naturally Soft Aran for this vest. The pattern fits sizes from 29 – 50 inch bust measurements, and so you will need between 9 and 14 balls, depending on your size. I love Latte (203) and Damson (233), as seen here. 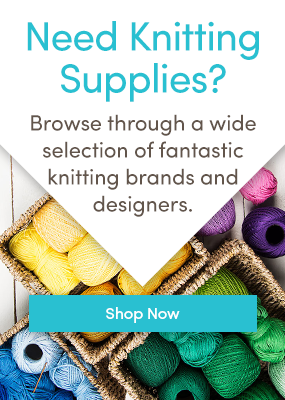 If you’re looking for a more economical knit, I recommend Sirdar Supersoft Aran, which is a workhorse yarn that you can machine wash and tumble dry! You will need between 3 and 5 balls of this yarn, depending on the size that you require. I love Frigate Grey (909) and Denim (870), both gorgeous shades! This gorgeous deep V textured vest is knit in 2 pieces from the bottom up, and the pattern contains both written and charted cabling instructions. It was designed to be worn with 3.5 inches (9 cm) of positive ease and fits a chest measurement of 37 – 52 inches (95 – 135 cm). I really like Drops Fabel Uni Colour – it’s super soft, you can machine wash it, and it’s available in a wide range of shades. You will need 5 balls for a 37 inch (95 cm) chest, 6 balls for a 42 – 47 inch (108 – 121 cm) chest, and 7 balls for a 52 inch (134 cm) chest. I love Turquoise (105) and Purple (104); click on the image below to view all available shades.